Mowing is only one of the constituent when it comes to making your lawn or garden area look more beautiful. One of the quickest and easiest tools to use is a brush cutter or line trimmer when it comes to maintaining your grassed areas and your garden beds separately. When you need to buy a brush cutter or line trimmer in Australia, you can find the best deal and the finest quality product at the store of Bargains Online. 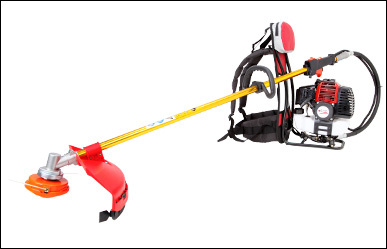 Whether your requirement is for landscape maintenance or home garden maintenance or tending parks or farms, Bargains Online has the right brush cutter for your precise need. Now the question arises as to which brush cutter/ line trimmer to buy. You can quickly go through the below guide, which will help you in selecting the right one for your need. 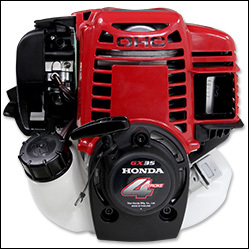 If you need to perform trimming tasks on a routine basis, line trimmers are just perfect for you. Line trimmers are excellent to clean up the surroundings swiftly especially on surfaces like fences, walls, around the varied hedges, trees and plants that you have in and around your grassed areas. If you use line trimmers, it will reduce your lawn mowing task to just once a month. Usually, brush cutters have straight shafts while line trimmers have bent shafts. To perform heavy duty tasks, straight shaft is made, which also facilitate for the inclusion of a blade attachment for cutting huge areas of grass where a lawn mower cannot reach. Certainly, you will need a brush cutter to complete more heavy duty tasks. The need to use brush cutter on a regular basis has several reasons such as - you might be having a large garden/ lawn area or you might be operating a gardening business or you plan to use your brush cutter on a routine basis. Hope the above information facilitates you to decide on the right equipment you need. New 52cc 10 in 1 Brush Cutter Hedge Trimmer Long Pole Chainsaw Brush Cutter Saw. New 52cc 6 in 1 Backpack Brush Cutter Line Trimmer Whipper Snipper Brush Cutter. New 52cc 6 in 1 Brush Cutter Hedge Trimmer Whipper Snipper Brush Cutter. Genuine Honda Gx35 Powered Brush Cutter Hedge Trimmer Pole Chainsaw Brush Cutter. New Black Eagle Commercial Multi-Tool Brush Cutter.